You keep applying for jobs but never get a chance to attend an interview. Actually, you think your CV is in good shape. “So what is wrong?” “What am I missing?” You keep asking yourself. Sometimes, job seekers spend so much time focusing on what needs to be on the CV, forgetting that there are things that shouldn’t be there as well. The job search process is like a race and for you to win and land yourself an interview, you have to use the right tools and not only that, your tool has to be the best among many. If you have these 4 things on your CV, then you are your own problem. You are applying for a position of IT Officer, then your CV showcases your experience as a Customer Service Officer, Admin Manager and the likes of it. What has that got to do with the job you are applying for? You list so many certifications not related to the job you are applying for. For example, you studied Estate Management, you have certifications in HR, HSE, IT, Project Management etc. and your experience is in Customer Service/Admin. What exactly is your career path? No matter the number of work experiences you have or the number of certifications you showcase, if they have nothing to do with the job you are applying for, the recruiter will see them as a waste of time. Next up will be hitting the trash button, because to them you look like you don’t even know what you want. 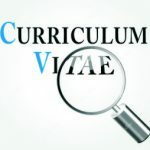 You must not pursue every certification you come across just to make your CV rich. Define your career path and get certifications and training matching the career, that way when you present your CV to a recruiter, it will be clear what your specialization and goals are. If you must pursue more than one career path at the same time, it is advisable to harmonize the certifications. Then, when applying for jobs, tailor your certifications as well as experiences you have gathered to match the exact job you are applying for. In the case that you have little work experience related to the job and you will like to showcase the number of experience you have acquired (especially if proof of years of experience is specified in job ad), highlight the related work experience at the top of the hierarchy in the ‘Work Experience section. Not every recruiter has the time to scroll down all your experience to find which one best suits the job they advertised, so make it easy for them to find by showcasing it at the top before the rest of your experiences. Talking about salary on your CV is highly prohibited! Any talk with regards to this should be shelved till you are called for an interview and made an offer or you are asked about your salary expectations. If you state the remuneration you expect, you might lose the job because of a salary mismatch or they might think that money is what propels you. Imagine writing ‘whorehouse’ instead of ‘warehouse’ on your CV. This is a common mistake that could be avoided if you pay good attention. Too many grammar blunders and misspellings on your CV only shows that you are careless and lazy. No potential employer will want to hire someone like you, because you could do the same in your work and therefore jeopardize the business. Proofread your CV over and over again, if possible, get a second eye to take a look at it before you send out to a recruiter. You might think that a funky email address like ‘hotsexyluv@.com is cool. Well… Sorry to bring you out of your fantasy world, leave that email address for when you send email to your pen pal or potential date! To get a job in the professional world, everything about you must be professional. From your email address to how you construct your CV to the interview. An improper email address like the one above conveys a lack of professionalism. The most suitable to use is yourfullname@email.com E.g. donaldlawson@yahoo.com. Your CV is your representative, you must make sure it captures the hiring manager’s attention in just a few seconds!